One of the things we’ve really focused on since the start of our research for this new site, was the chart positions of each song. Instead of just grabbing chart information from wikipedia, or from other lists on the internet, wherever possible we went back to the original charts. U2 has made it to the top of the Irish charts a number of times. In the early 1980s, they had three singles in a row that just barely missed taking the top spot on the Irish Charts before they got that elusive first number one. It must have been difficult to get so close and then not make it by one position, not once, but three times in a row. “The Unforgettable Fire” was the first U2 single to reach #1 on the Irish Charts, and when it did, it stayed there for two weeks in May 1985. This would be the start of a string of #1 positions for the band over the years. But did you know that U2 have also had considerable success in the Irish charts with non-U2 projects as well? 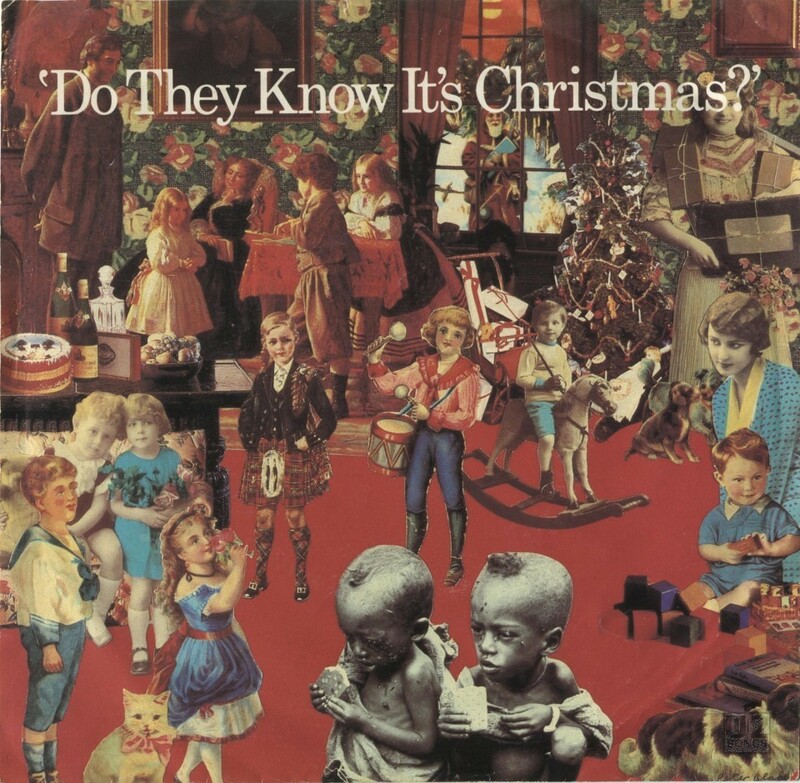 Adam Clayton and Bono both contributed on this Christmas song. Recorded on November 25, 1984, the song went to number one on charts worldwide. In fact sales were so strong on the single that they announced this song as a “Special Number One” in Ireland the week before it was actually eligible to enter the charts it was played as a “Special #1” because of unprecidented sales in the country. It would then spend another four weeks at the top of the charts. Not only did it have a good run the year that it was released, spending 10 weeks in the charts, it reappeared in December 1985 and December 1986 at #2 in the charts in both years. Of course Bono has returned two additional times to record the song again, first in 2004 for the 20th anniversary and again in 2014 for the 30th anniversary. We are waiting patiently for Band-Aid 40 in 2024 to see how it will chart. 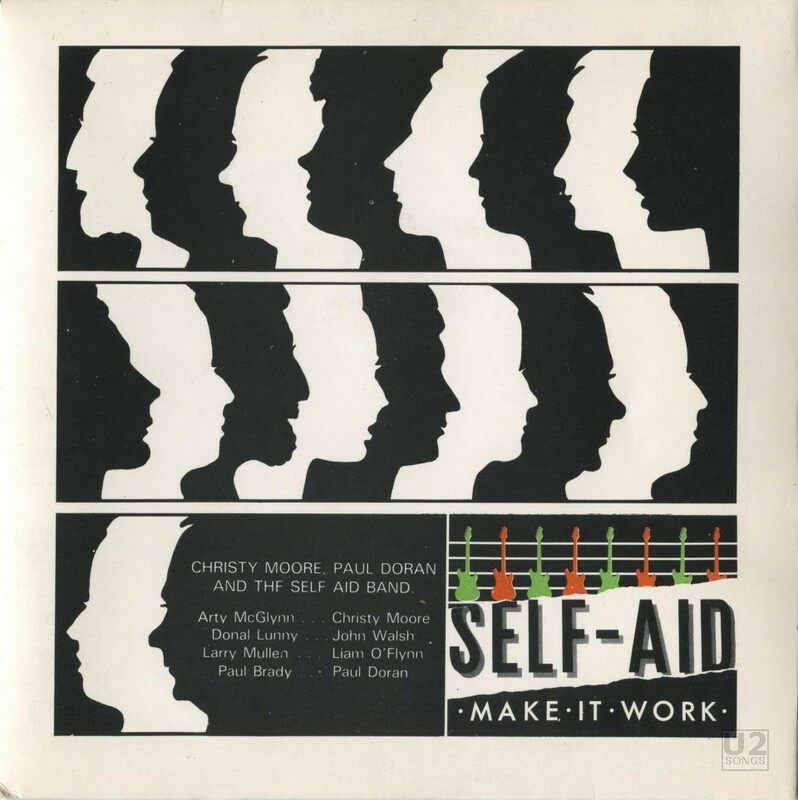 “Make it Work” was a single recorded to highlight the chronic unemployment problem in Dublin at the time. Larry Mullen performed on the song, with Christy Moore, Paul Brady, Donal Lunny and others. Like “Do They Know it’s Christmas” the song was recognized a week ahead of when it could actually chart as a “Special Number One”. The song would then chart the following week at number 1. 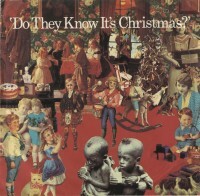 Unlike “Do They Know it’s Christmas” the song started to drop out of the charts from there, falling to number 2, and then out of the charts entirely. 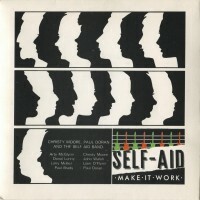 The “Make it Work” single lead to a huge concert in Dublin, known as Self-Aid which started at noon and continued well past midnight. U2 performed a set at the show. Larry did join the “Self-Aid Band” on stage for the performance of this single, and Bono also appeared on vocals. 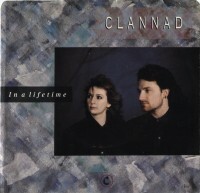 “In a Lifetime” is a song that Bono participated in by the band Clannad. In the song Bono contributes vocals, and also appears in a haunting video. 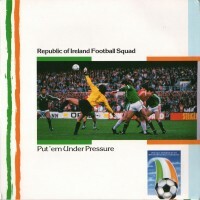 The song didn’t reach the top spot, but it did make it to number 5 in the Irish Charts. The song has been released a number of times as a single, and has featured on countless Clannad albums and compilations since its release. But perhaps most interesting to me, Bono’s appearance in the video for “In a Lifetime” inspired some early sketches for the character of Morpheus, star of DC Comics’ “Sandman” series. The author of “Sandman” confirms the tie into this video: “Dave McKean did a couple of early concept sketches, from my description of the character, where he based his sketches of the Sandman on stills from a Bono video, at the same time that Leigh Baulch did a few sketches of the Sandman as a white-faced, black-haired, black-cloaked Aladdin Sane period Bowie.” The “In a Lifetime” video was filmed by Meiert Avis who had worked with U2 on a number of videos including “I Will Follow”, and “All I Want is You”. The video was filmed in Clannad’s hometown of Gweedor, in County Donegal. 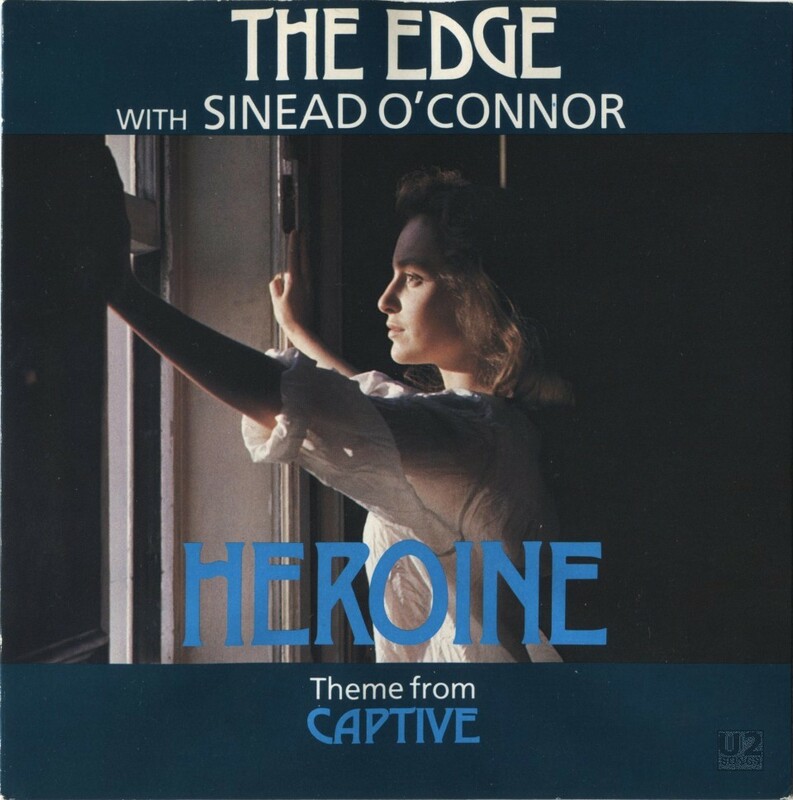 Perhaps this was Edge’s highest placing single outside of the band in the Irish charts? This was taken from his solo album “Captive” which was done as a soundtrack for a film of the same name. This track features Sinead O’Connor on vocals and Larry Mullen on drums. The song reached just shy of the top 10 peaking at number 12. 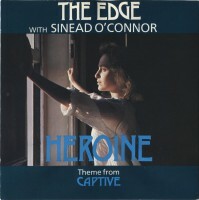 The song was one of the first tastes that the world would have of the new voice, Sinead O’Connor, and this track was released prior to her debut album. Both a 7-Inch and a 12-Inch were released for the single. 1994 saw the release of both of these songs from the “In the Name of the Father” soundtrack as singles. Bono co-wrote both songs with long time friend Gavin Friday. “In the Name of the Father” was performed by Bono and Gavin Friday. And while they co-wrote the song, Gavin and Bono stood aside and let Sinead O’Connor sing “You Made Me the Thief of Your Heart”. The song by Sinead O’Connor was the more successful of the two, reaching #4 in the Irish chart, while the song with Gavin Friday only reached #15. Larry Mullen seems to be gold in the Irish charts. 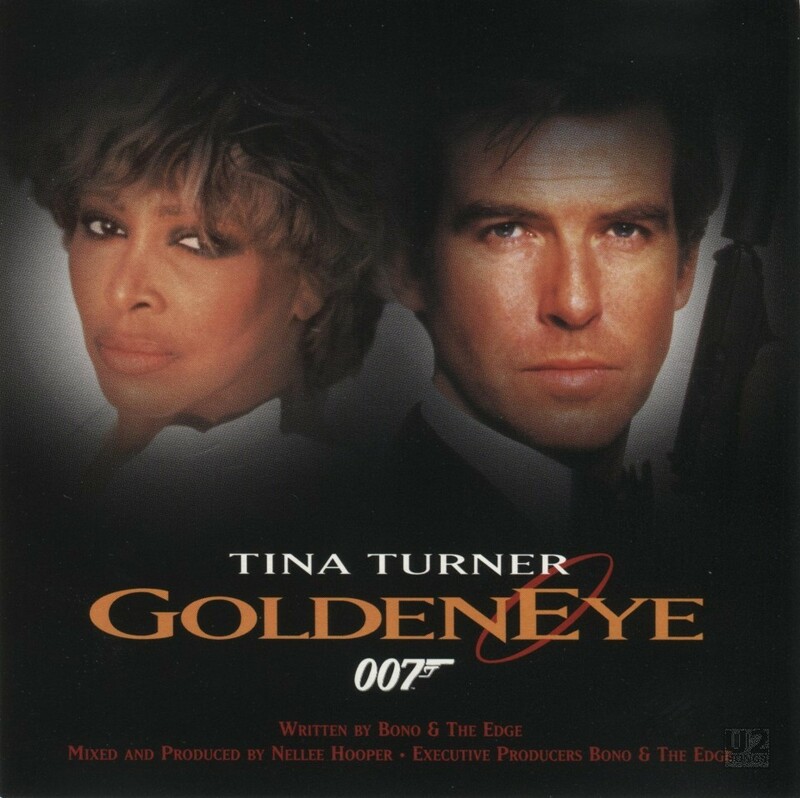 When he and Adam Clayton remade the “Theme for Mission Impossible” they had a chart success on their hands. The song peaked at #2 in the Irish charts, and did well internationally for the duo. Strangely enough Adam and Larry were in different parts of the world working on the track individually. 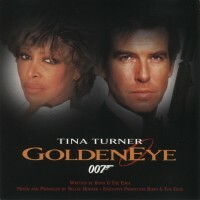 They brought the material back to Paramount, who requested both be finished, leading to the two different sounding theme songs composed by the duo for the soundtrack. The most successful song in the Irish charts that any member of U2 has been a participant in? It is the Larry Mullen magic touch again. 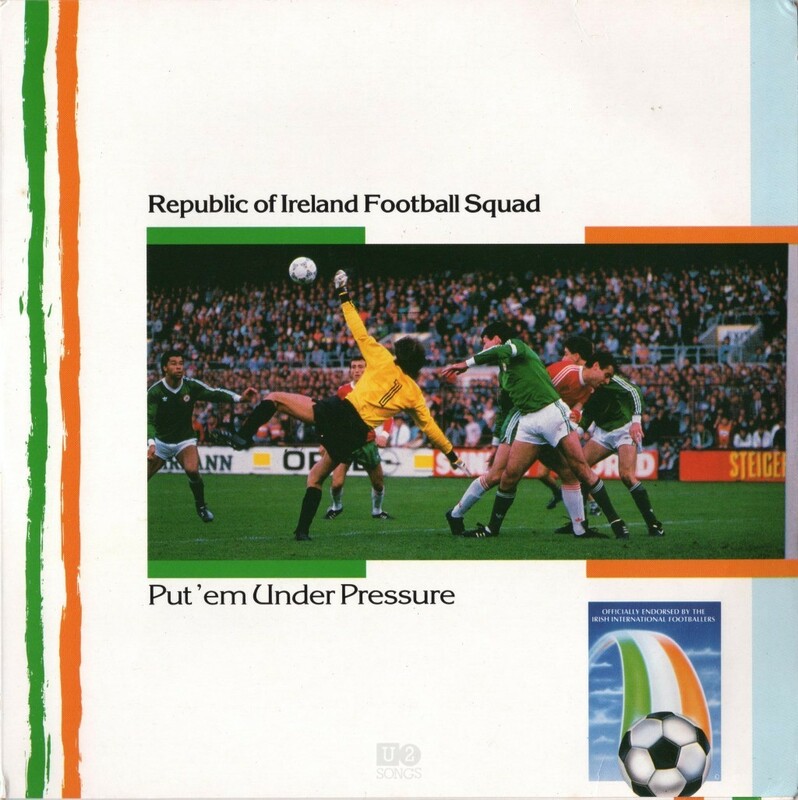 This song which Larry put together for the Republic of Ireland Football Squad charted at #1 and spent a full half-year in the charts. Thirteen of those weeks, including it’s debut week, were spent at number 1. Indeed, at the time, this was the single that held the record for the most number of weeks a top the Irish Charts, a record it held until the release of “Riverdance”. It dropped out of the charts in December 1990 after spending a huge portion of the year near the top. 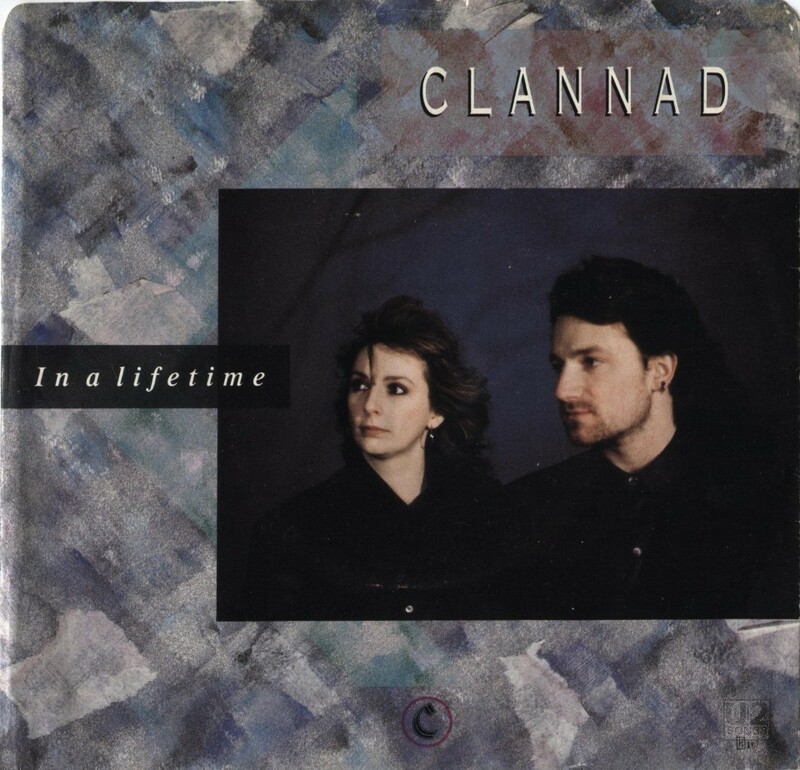 The female vocalist is Maire Brennan of Clannad, and the song itself borrows a guitar riff from Horslips. Who would have thought Larry would have been one of the more successful members of U2 when it came to the Irish charts and going it alone without the band?